Mr Tupetagi claims he was handed a can of 'black repellent'. A MAORI man working on one of Australia's most popular beaches has detailed the racial vilification he allegedly suffered. 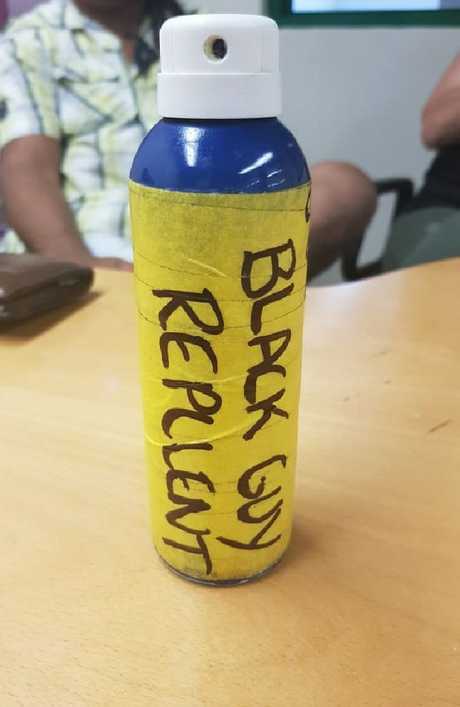 While working for Rainbow Beach Adventure Company, McDuff Tupetagi claims he was regularly mocked, called a "black fella" and given a can labelled "black guy repellent" when he asked for sunscreen. Mr Tupetagi has taken the company, which runs tours around Fraser Island, to Queensland's Industrial Relations Court. As reported by the Brisbane Times, Mr Tupetagi claims the discrimination he suffered forced him to take sick leave. Mr Tupetagi is suing the Fraser Island-based company and two of his co-workers for the abuse that he says has left him distressed and with anxiety. In one of his complaints, the New Zealand-born man said he repeatedly asked his boss to install a sunshade over the area where he worked on the company's 4WDs. After asking for months, the request was escalated up to the company's manager after Mr Tupetagi's boss ignored his questions. But after three months of requesting one, Mr Tupetagi was shut down and given the excuse, "to the effect of 'because you're black'". The final straw for Mr Tupetagi came in November last year. Mr Tupetagi was told by a co-worker there was a gift in the next 4WD he was going to work on. In the bottom of the car was an empty sunscreen can, covered in fluoro yellow tape and with the words "Black Guy Repllent (sic)" and "Caution! Only use on blacks". Distressed, Mr Tupetagi reported the incident to the same manager who refused his requests for a sunshade the year before. The manager suggested the incident was the work of one of Mr Tupetagi's colleagues Joel Mahon, who he then forced to apologise. But when Mr Mahon drove to Mr Tupetagi's house to apologise, the statement of facts claim the New Zealand-born man was told "you shouldn't be here" by Mr Mahon. A week after the incident and after months of suffering racial discrimination and abuse, Mr Tupetagi took sick leave and was later diagnosed with depression and anxiety. 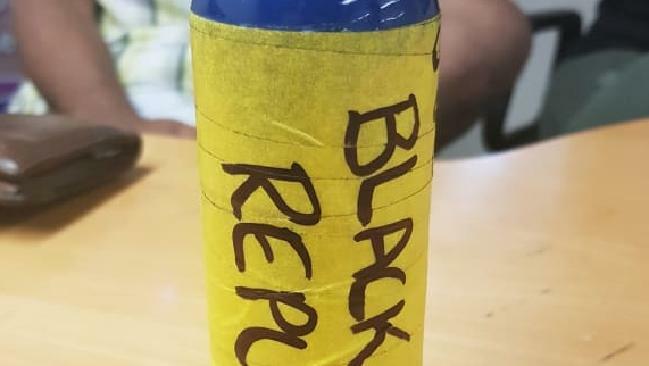 "By being presented with a sunscreen bottle, a product designed to save lives which the complainant had been denied access to previously, marked as a product designed to chase 'blacks' away, or even kill them, the complainant felt likened to an unwanted creature or pest," the statement of facts, obtained by the Brisbane Times read. Rainbow Beach Adventure Company declined to comment. Website Travel, the parent company of Rainbow Beach Adventure Company, has been contacted for comment. 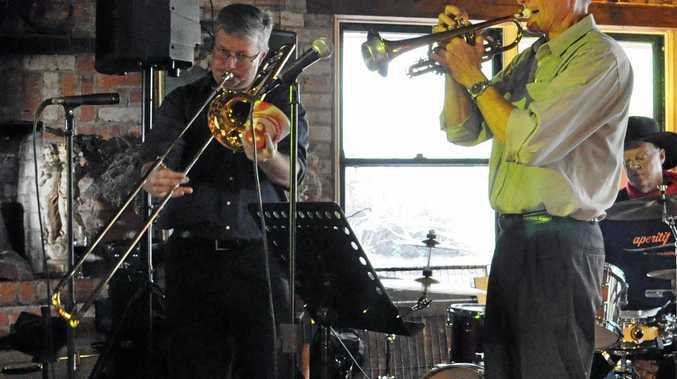 In a separate statement, Website Travel said it was supporting the proceedings.